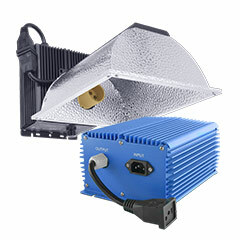 Browse our selection of grow light ballasts listed below. 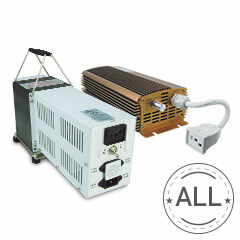 We only carry ballasts that are specifically designed for use with grow lights, from top brands like AgroMax Digital Greenhouse and Growbright. Digital grow light ballasts are used with high intensity grow lights to convert the conventional electricity that comes out of your outlets into the correct voltage to power up and operate your High Pressure Sodium and Metal Halide Grow Lights. Another purpose of the grow light ballast is for heat control. Having a standalone ballast that is in a separate location from your actual grow lights allows for cooler temperatures near your plants…. In many grow rooms temperature and humidity control is a nuisance and a remote grow light ballast certainly helps manage your grow light’s temperature. 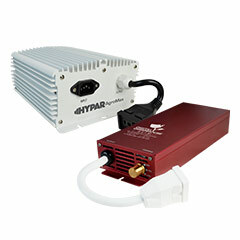 Advice On Grow Light BallastsBeware of digital electronic grow light ballasts made available in other online hydroponic stores that are made for commercial light applications and not specially designed for grow lights. 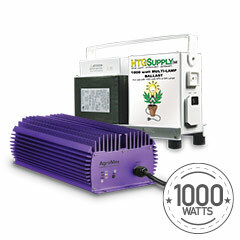 While those types of ballasts are great for energy efficiency they do so at the sake of your light output which is obviously much more of a priority to growers operating high intensity grow lights like MH or HPS grow lights. Rest assured that grow light ballasts available for sale in our store are in fact ballasts that have been designed specifically for grow lights. These ensure that you will have maximize the light from your lights and your plants will surely thank you! 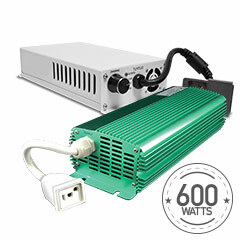 Our Digital Greenhouse ballasts are some of our best sellers for good reason. 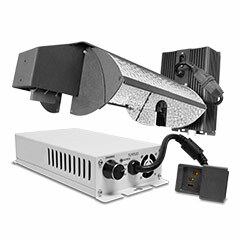 These digital ballasts are extremely efficient while simultaneously maximizing your grow light’s output. All of our Digital Greenhouse ballasts are UL listed for safety and run extremely quiet. Digital Greenhouse Ballasts offer a 5 year warranty with 3 years of complete coverage and an additional 2 year pro-rated warranty. Contact Us For More Info on Grow Light BallastsIf you have any questions regarding our digital grow light ballasts please give us a call at 1-866-710-GROW. We’ll be more than happy to help you with any questions you have regarding purchasing or using your new digital ballast.